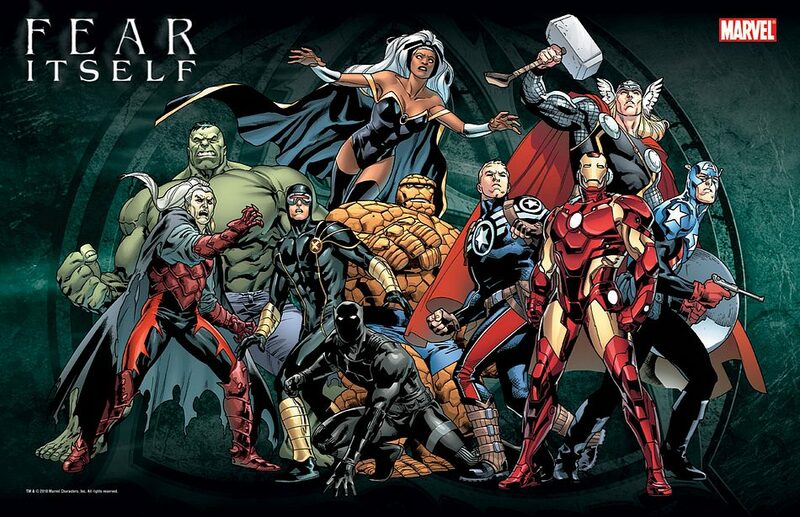 Today at Midtown Comics in New York, Marvel Comics editors Joe Quesada, Tom Brevoort and Axel Alonso announced details on the next Marvel Comics summer crossover event — something called “FEAR ITSELF”. Writer Matt Fraction joined in via video conference. The core of the crossover is a 7-issue mini-series, which launches in April, that will be written by Fraction, with pencils by Canadian artist STUART IMMONEN, inks by Wade Von Grawbadger and colours by Laura Martin. Each issue will be $3.99 cover, with an over-sized first issue and there will be a WWII-era prologue by Ed Brubaker and Scot Eaton. Numerous titles are expected to crossover with this event, and the Marvel Universe will never be the same again… lol…. This entry was posted in 2011 Releases by Kevin A. Boyd. Bookmark the permalink.